The ATS-V.R is the racing extension of the upcoming 2016 Cadillac ATS-V Coupe, which channels more than a decade of V-series engineering experience into the brand's first compact performance model. The new, up to 600 hp ATS-V.R meets international FIA GT3 specifications, a highly coveted pedigree that allows it to potentially run in more than 30 different GT series around the world. Other marques in this ultra-competitive racing class include Aston Martin, Audi, Bentley, BMW, Ferrari, Lamborghini, McLaren and Porsche. The FIA is the governing body for worldwide motorsport, with the GT3 class representing a specific set of specifications for racing cars based on production models. "The V-series is the highest expression of Cadillac's rising product substance," said Johan de Nysschen, President, Cadillac. 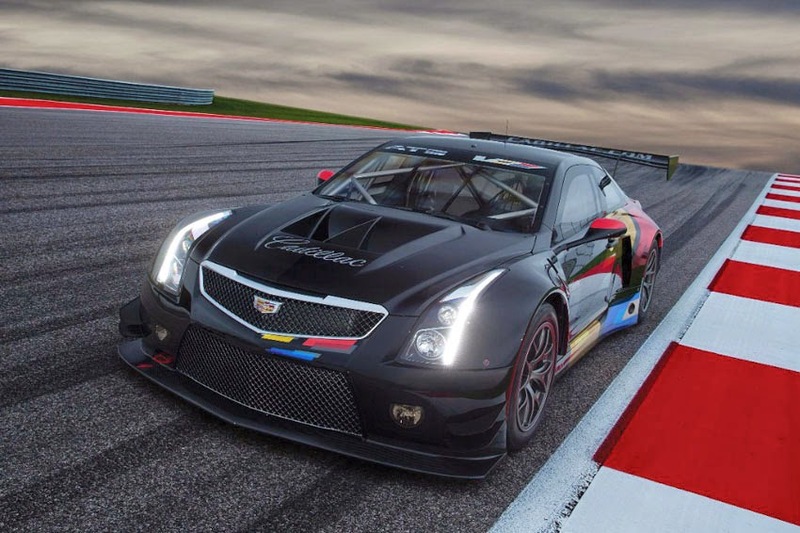 "Elevating and expanding the V-series is the next logical step in Cadillac's growth, including this new race car developed in GT3-specification, enabling us to pursue racing on a more global scale." The heart of the ATS-V.R is the LF4.R, the racing version of the Twin Turbo 3.6L V-6 in the award-winning Cadillac CTS V Sport. Specific technical upgrades for the GT3-spec race car include larger, twin BorgWarner turbochargers; increased capacity intercoolers; competition engine management and a direct, side-exiting exhaust. The lightweight aluminum block and heads are counterbalanced by a rear trans axle unique to the race car, giving the ATS-V.R a weight distribution of 49 per cent front, 51 per cent rear. "This car sounds wicked and screams like it's ripping holes in the air. I love it, said Andy Pilgrim, Cadillac Racing driver. "We have paddle gear shifters for the first time, and I'm enjoying the new tools. The engine torque is remarkable, as always, pulling strongly out of the corners."